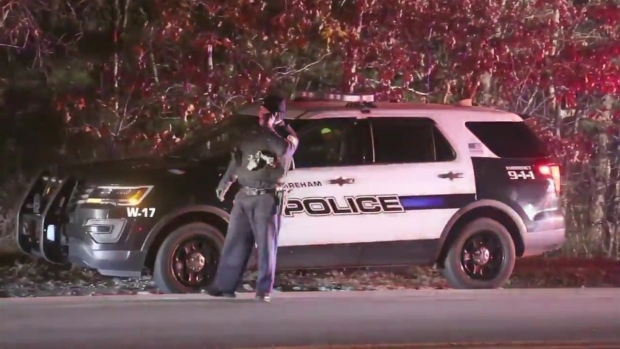 Two people were struck and killed by a scenic train Saturday night in Wareham, Massachusetts. The Cape Cod Central Railroad, which operates the Polar Express themed train ride, says the victims were trespassers. Two people have been struck and killed by a scenic train in Wareham, Massachusetts, the Plymouth County district attorney says. The accident happened around 7:29 p.m. Saturday in the area of 72 Minot Avenue. The victims, a man and a woman, were pronounced dead on scene. A preliminary investigation shows the victims, who have not been identified, were on the tracks at the time they were struck, the DA says. Two people have been struck by a train in Wareham, Massachusetts, fire officials say. Cape Cod Central Railroad, which operates the holiday ride, says the victims were trespassers. The train involved is a Polar Express themed train ride that begins and ends in Buzzards Bay. The train's operator says this is the sixth year they've conducted these rides. The train, which left Buzzards Bay at 7 p.m., was carrying more than 300 passengers at the time of the fatal accident. No passengers riding on the train were injured, the DA says. The train detached from its engine and returned to the Buzzards Bay depot where passengers who were on board were able to get off the train and return to their vehicles. 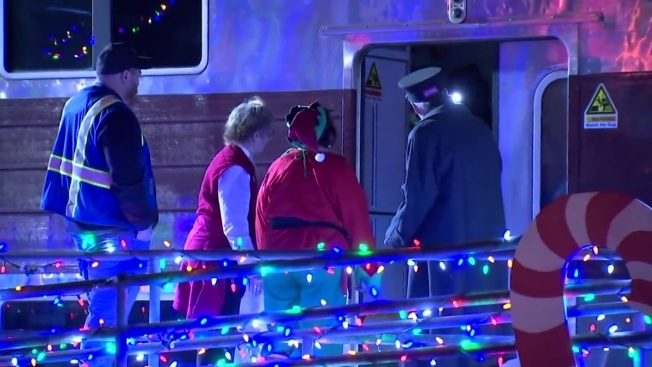 Christmas lights could be seen lining the guardrail as the families deboarded. Saturday night's ride was free and unofficial. It was the first ride of the season and the final dress rehearsal for Cape Cod Central Railroad to make any last-minute preparations for the holiday season. The ride was offered to first responders and their families. Over 100 kids who were on board were given gifts by Santa, who could be seen exiting the train. After the train fatally struck the pedestrians and came to a stop, an announcement was made over the loud speaker, informing the children that the train had run out of "magic fuel." Video from the scene showed multiple emergency response vehicles, including ambulances, fire trucks and police SUVs. Massachusetts State Police say their Air Wing responded, as did crime scene investigators. Transit police also responded.